5-Day Club® is an exciting, fun-filled one and one-half hour held each day for five consecutive days. It includes: dynamic Bible lessons, creative learning activities, inspiring missionary story, meaningful songs, life-changing Scripture memorization. 5-Day Club® is an exciting, fun-filled one and one-half hour held each day for five consecutive days. A 5-Day Club® can identify a home in the neighborhood that is safe for a child to go to in times of trouble. It brings the teaching of biblical morality to his neighborhood. It connects the child and his family to others where they live developing a good community spirit. When you teach God’s Word to children in your neighborhood, your neighbors learn what you believe. Community centers and housing complexes are also great places for a club. 5-Day Club® is open to all boys and girls between the ages of five and twelve, regardless of religious background. Parents are welcome to attend the club with their child. Christians who are concerned for the spiritual well-being of children teach the club. These teachers have received specialized training from CEF® and are screened as required by the child protection policy of CEF®. There is no charge for children to attend. All club workers have been carefully screened as required by the child protection policy of CEF®. Kate Carver, Christian Youth In Action ® missionary, with Ruth Barnes, long time volunteer, teaches in a 5-Day Club® at Bo Peep Day Care. The Christian Youth In Action ® and church partnership team at First Baptist Church, Eclectic pray together before a day of 5-Day Club® ministry. Abby Solomon and Mary Phyfer Parker, Christian Youth In Action ® interns, with Jeremy Brown, student minister, and Cheryl Roberson, members of FBC Eclectic, host 5-Day Club® at Panther Palace Park in the center of town. Games and actions help children value and memorize God’s Word, such as this “Simon Says” like game used to teach Ephesians 2:8. 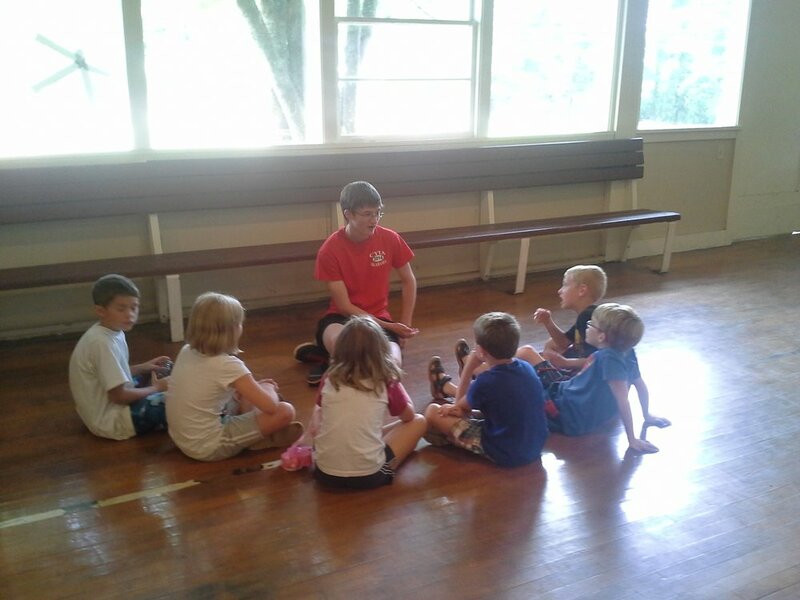 Andy Russell counsels children after a Bible lesson at a Camp Grandview 5-Day Club® in Wetumpka, Alabama. Jade Marcum and Liz Claxton lead music during 5-Day Club® at Jaad’s Daycare in Montgomery, Alabama. Liz Claxton opens 5-Day Club® at the Bell Road Goodtimes Center in Montgomery, Alabama. Kate Carver counsels girls after a Bible lesson at a 5-Day Club® at the Bell Road Good Times Center in Montgomery, Alabama. 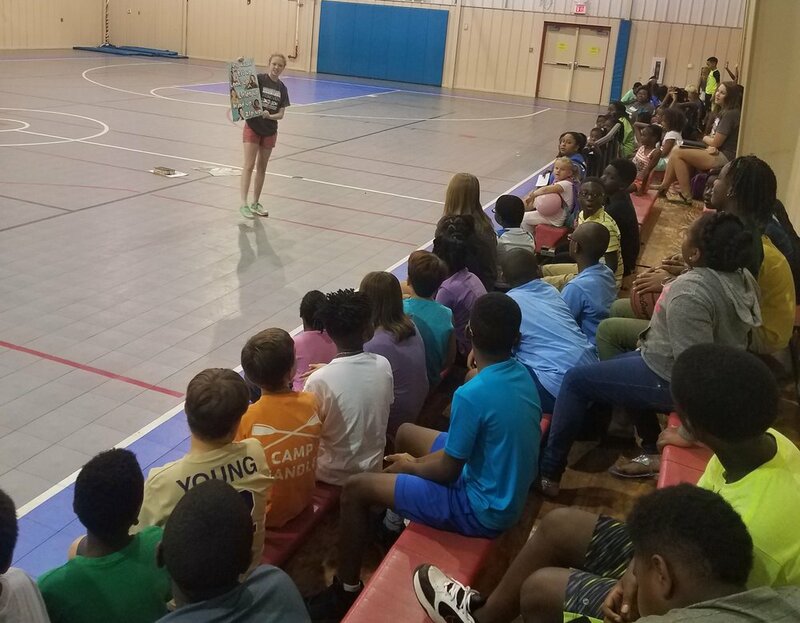 Jade Marcum counsels children after the Bible lesson at a Camp Grandview 5-Day Club® in Wetumpka, Alabama. Mioshey Collins teaches memory verse a 5-Day Club® partnering with Taylor Road Baptist Church in Montgomery, Alabama. 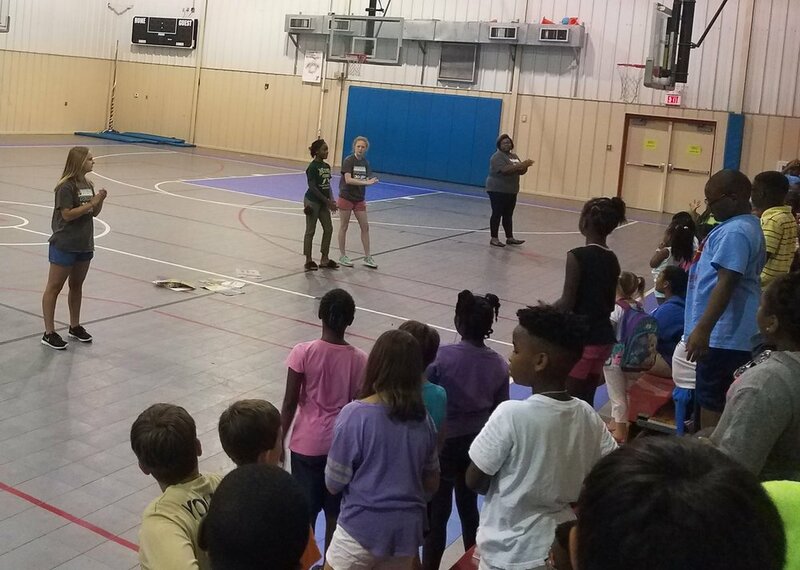 Mary Phyfer Parker, Liz Claxton, Ruth Barnes and students lead music at a 5-Day Club® at the Bell Road Goodtimes Center in Montgomery, Alabama. 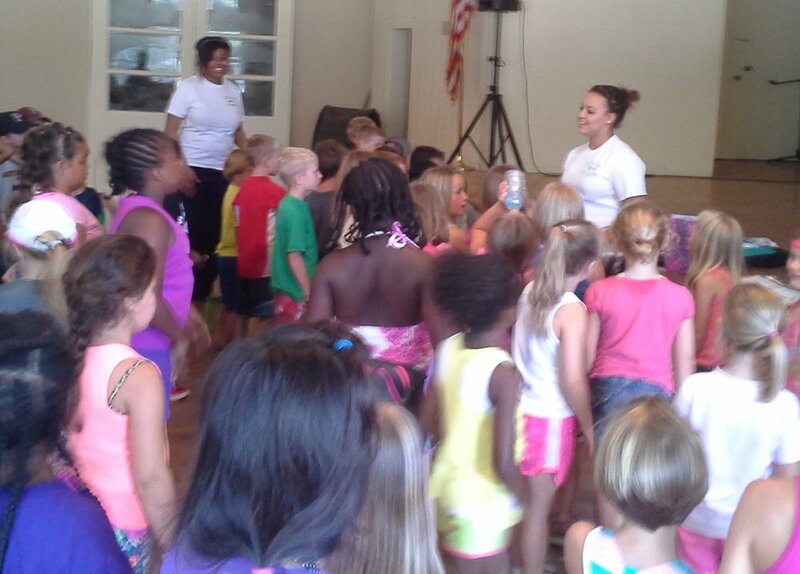 Mioshey Collins and Jade Marcum lead music at a Camp Grandview 5-Day Club® in Wetumpka, Alabama. Francie Parker, CJ Falcione, and other volunteers from Gateway Baptist host 5-Day Club® for children at Gateway Baptist Church. Ruth Barnes counsels a girl after a Bible lesson at a 5-Day Club® at the Bell Road Goodtimes Center in Montgomery, Alabama.